Have a blast on a brand-new Jet Ski! Race around the Biscayne Bay and see Miami from the water with up to a 1-hour rental. Have an unforgettable experience on your Jet Ski Rental. Choose up to a 1-hour rental and the best time to get in the water. Then, go to Jet Boat Miami, located at 1635 North Bayshore Drive. Lather on some sunscreen, put on your life jacket, and get on your brand-new 2017 Yamaha EX Deluxe Jet Ski to begin your ride. 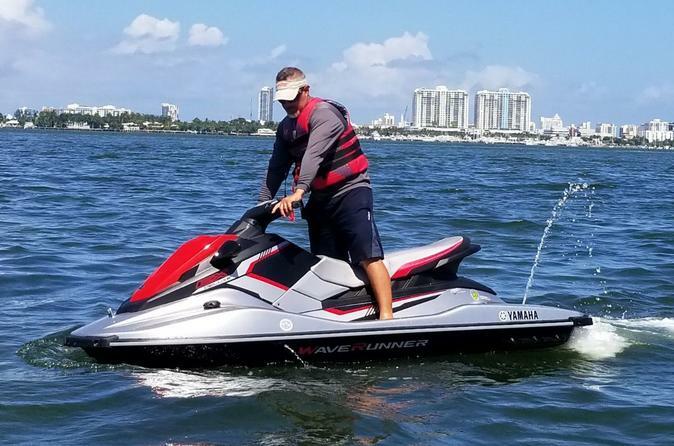 Take your jet ski around the Biscayne Bay, enjoying the beautiful view of the Miami beach from the water. Ride your 2017 Yamaha EX Deluxe by the Sea Isle Marina to admire all of the ships. Race through the water and feel the speed and power of the jet ski. Make an amazing memory on your 2017 Yamaha EX Deluxe Jet ski!